Today, the U.S. Department of Labor announced it intends to issue a “Notice of Proposed Rulemaking” (NPRM) in August. The NPRM would rescind controversial tip-pooling restrictions which should come as a welcome relief to employers in the hospitality industry. Additionally, the Department of Labor and the Department of Justice, have asked for another extension in the National Restaurant Association legal case challenging the tip pooling regulation. So now the DOL/DOJ have until September 8, 2017. 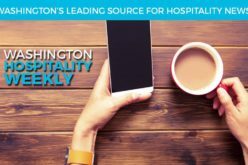 These two changes set into motion regulatory action that could aid hospitality employers across the country. However, in Washington because of I-1433, tips still will need to be distributed to employees regardless of what the new rule says about pooling practices. We are unsure of the impact to Washington or Seattle employers until there is a final rule. The agenda reflects an agency’s intentions to act in the next 12 months, and is subject to change. However, given the controversy swirling across the country regarding this matter, there is little doubt this announcement was not made lightly. Employers can expect swift action to set the wheels in motion to rescind the rules, although the rescission process itself could take some time. For now, however, continued caution is advised with respect to tip policies. This information is excerpted from “Tip-Pooling Restrictions Slated To Be Rescinded, Labor Department Announces,” a legal alert published by Fisher Phillips on July 20, 2017. Read the full alert here.